This is a note taking guide that corresponds with my 14 slide PowerPoint that discusses the ocean tides. 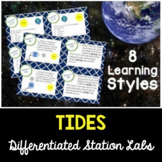 Ideas presented include what tides are, what causes tides, and different types of tides. Words defined are spring tide, neap tide, semidiurnal tides, diurnal tides, and mixed tides. 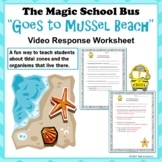 This reading passage with comprehension questions is perfect for teaching how the Moon effect's the ocean tides. 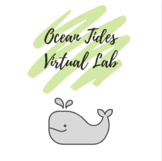 Worksheet that goes along with the Glencoe ocean tide virtual lab. 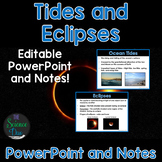 There is also a lesson extension activity that discusses using tides as an alternative energy source. 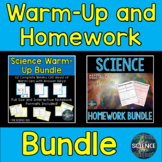 I use these in my students' interactive notebooks. They love to put these in their notebook, so I thought I would share. 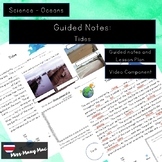 This is an Examview test I made with ocean tides, currents, and previously taught 6 grade standards. 10 Questions on Ocean Tides. Ocean Tides and the Phases of The Moon.